V&A Dundee announces The Thomson Learning Centre - D.C. Thomson & Co. Ltd.
V&A Dundee has named its suite of world-class learning studios The Thomson Learning Centre, in recognition of the key support the Dundee media company and the Thomson family has given the new museum. Publishers DC Thomson, founded in the city in 1905, and The Northwood Charitable Trust, the Thomson family’s private charitable trust, have gifted significant funds towards the development of V&A Dundee. Their continued support will now help the new museum become a leader in design education with an original and exciting learning programme that is open to everyone. The Thomson Learning Centre, which sits on the upper floor of the museum near the gallery spaces, is a creative hub which will be the centre of the museum’s day-to-day activities. It comprises two fully equipped learning studios to deliver practical design workshops, an auditorium space which can accommodate more than 150 people, and a design residency studio connecting visitors to exciting contemporary designers. The activities on offer will be inspired and influenced by the Scottish Design Galleries and exhibitions as well as the architecture of V&A Dundee, the first UK building designed by Japanese architect Kengo Kuma. The Thomson Learning Centre will be the home of the museum’s Schools Programme, co-designed by teachers and delivered by practising designers. The programme aims to support career choices in the creative sector, with themes ranging from graphic design and illustration to fashion, digital design and architecture. The studios will also host regular weekend and holiday activities to encourage families to learn together and try out new skills as well as workshops and activities for all ages. 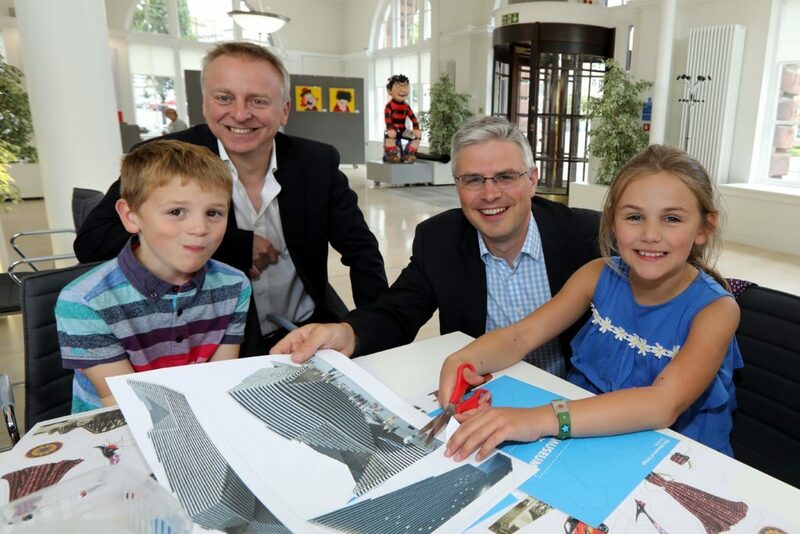 Andrew Thomson, Chairman of DC Thomson, said: “We are very proud to support V&A Dundee and incredibly pleased that our contribution is being recognised with the creation of The Thomson Learning Centre. “Creativity and design are integral to our business and we are passionate about developing the creative talent of people of all ages in Dundee and beyond. • A range of one-day courses, ranging from brand and social media awareness for businesses to pattern cutting for beginners. Philip Long, Director of V&A Dundee, said: “We are delighted to announce that V&A Dundee’s suite of learning studios will be known as The Thomson Learning Centre, paying tribute to the substantial support the Thomson family has given V&A Dundee. “The new museum has been made possible thanks to the generosity of funders, and we are extremely grateful for their continued support and commitment to inspiring creativity through design. Joanna Mawdsley, V&A Dundee’s Head of Learning, said: “The Thomson Learning Centre is a superb space that will allow us to inspire and delight future generations, as well as encourage people of all ages to get involved in and be curious about design. V&A Dundee will be an international centre for design, housed in a world-class building created by Japanese architect Kengo Kuma at the heart of Dundee’s revitalised waterfront. It will hold major exhibitions, celebrate design heritage, inspire and promote contemporary talent, and encourage future design innovation. V&A Dundee is being delivered by Design Dundee Ltd, founded by the Victoria and Albert Museum – the world’s leading museum of art and design – Dundee City Council, the University of Dundee, Abertay University and Scottish Enterprise. Key funders of the project to develop V&A Dundee include the Scottish Government, the Heritage Lottery Fund, Dundee City Council, the UK Government and Creative Scotland.